A 681 horsepower V12, four-wheel steering, a more aerodynamic body and a historic name. In short, that’s Ferrari’s all-wheel drive offering for 2017. 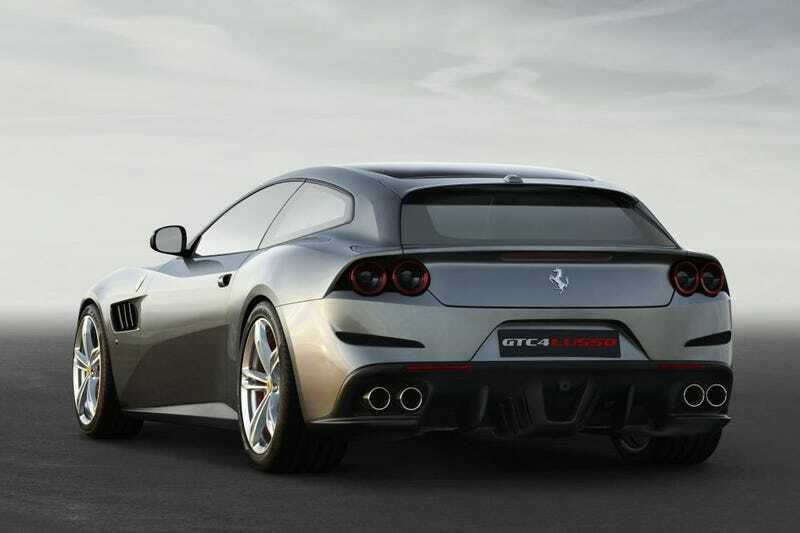 Forget the Ferrari FF, it’s called the GTC4 Lusso now. 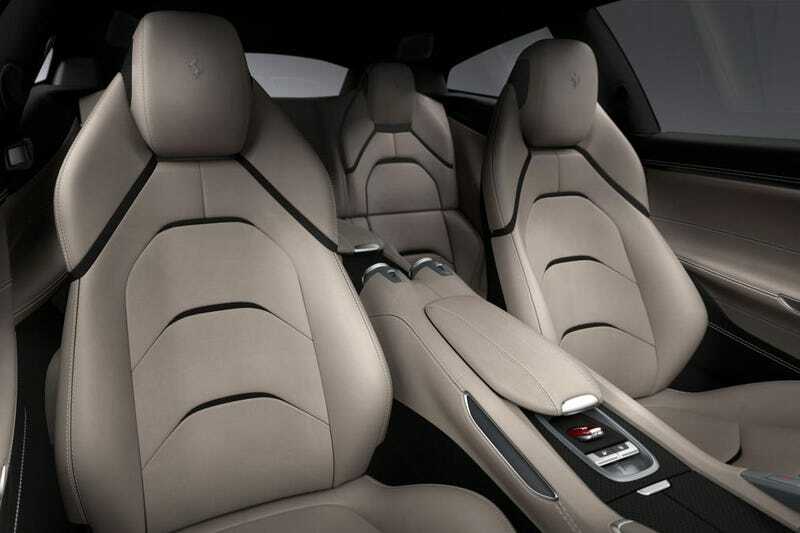 The GTC4 Lusso has big shoes to fill, because while the FF might be slower in snow than your neighbor’s regular four-wheel drive Bentley, it is also the most special modern luxury tourer money can buy. Especially in blue. 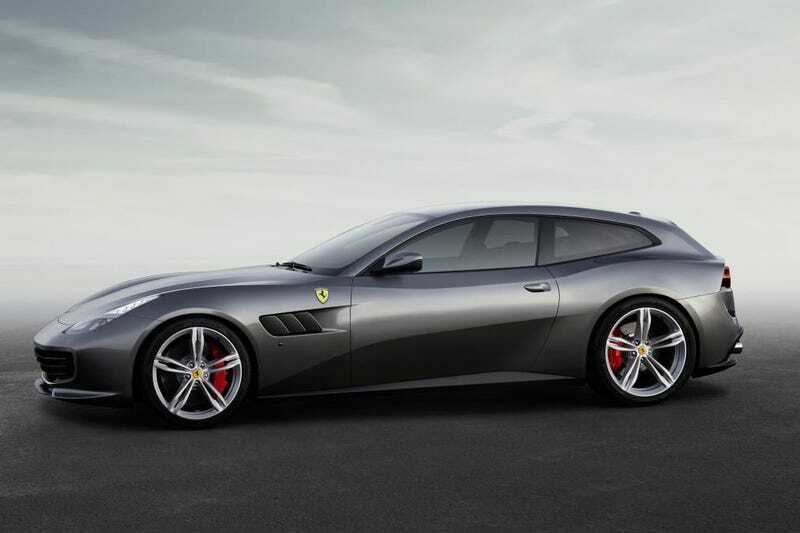 Being fully aware of this, Ferrari wasn’t going to fix what ain’t broken, so the GTC4 Lusso is more of a clever facelift than anything radical. 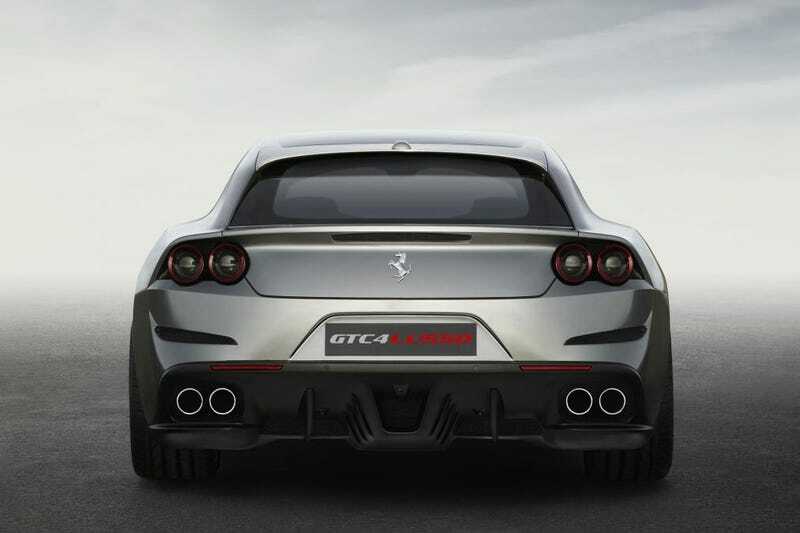 The 6.3-liter V12 produces 681 horsepower now instead of “just” 651, torque is up to 514 pound-feet and Ferrari also jammed the bonkers F12tdf’s four-wheel steering under the floor to make the new Lusso more capable than you’ll ever need it to be. There’s a wider grill up front to let that giant engine breath better, while the rear spoiler and a few other minor changes help reducing drag, making the fanciest of family cars reach 62 mph in 3.4 seconds. 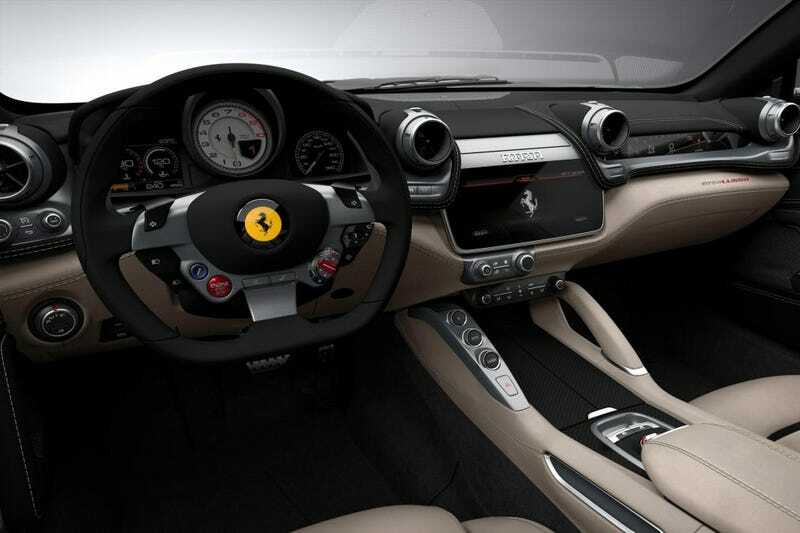 Ferrari calls the combination of the all-wheel drive and the four-wheel steering ‘4RM-S’, with the Lusso also getting the forth-generation of their Slide Slip Control, and electronic differential and magnetic dampers. 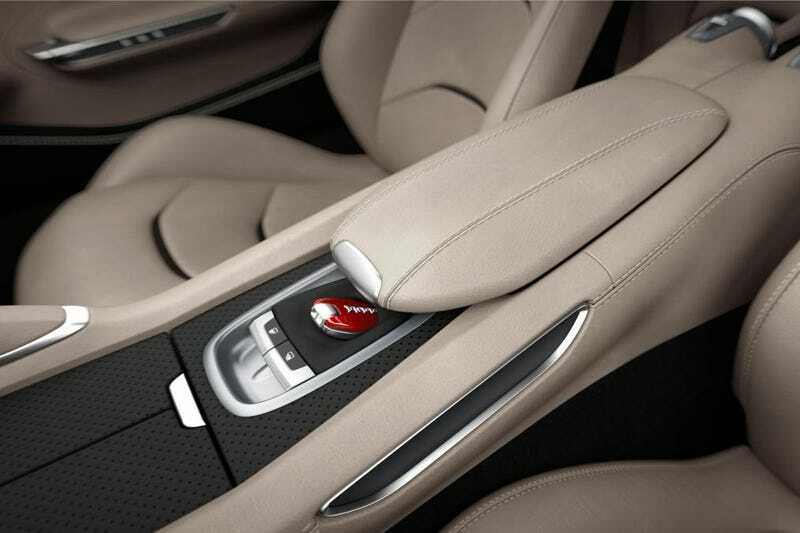 Inside, you get a smaller steering wheel, a 10.25-inch HD touch screen with Apple CarPlay and Android Auto, plus all the fine leather a car could handle. As for the name, Ferrari says it was inspired by several famous older models, like the 330 GTC, 330 GT and 250 GT Berlinetta Lusso. At any rate, it’s way better than FF. 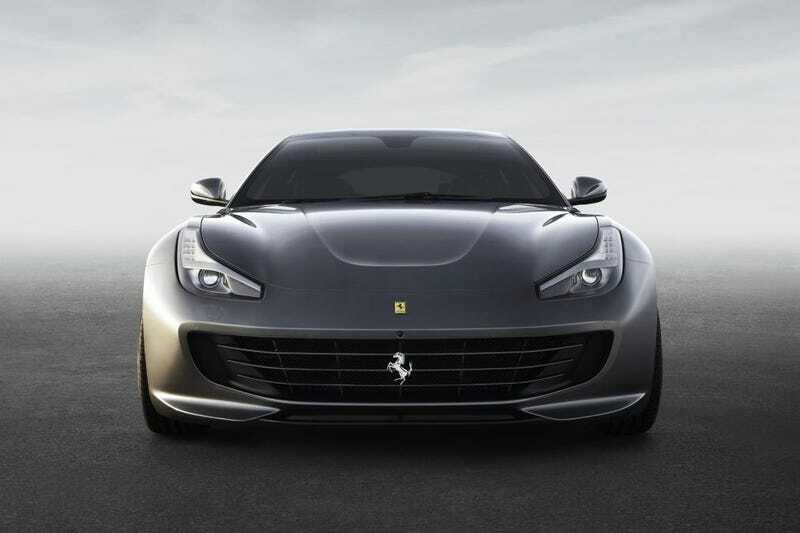 More to come about Ferrari’s grandest once it hits the stage at the Geneva Motor Show. 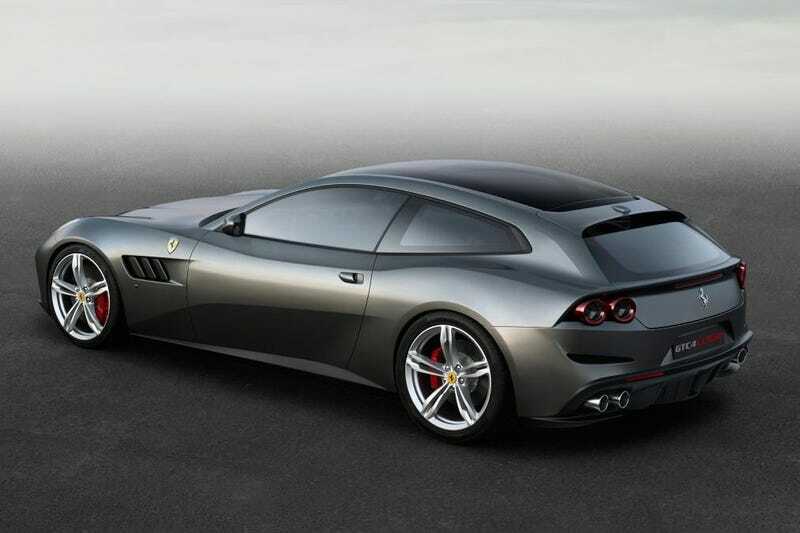 The post The 2017 Ferrari GTC4 Lusso Is Your Improved Ferrari FF appeared first on .